Home / Exercise & fitness / Building Strength / How to gain weight? 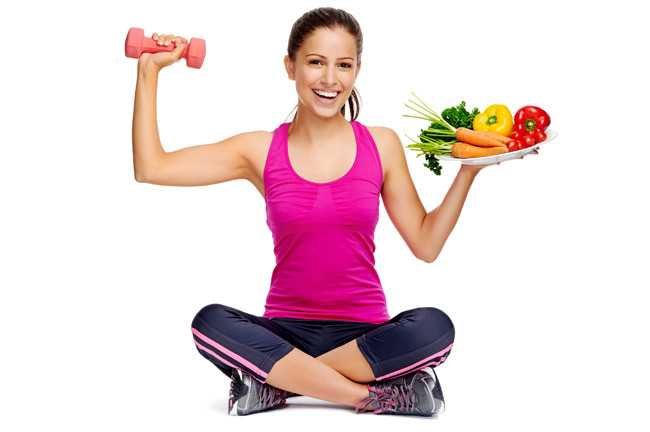 Exercise and balanced diet is the key to transform your body, but at times Working out is just not enough. Traditionally, bodies seem to fall in one of three categories: Ectomorphic, Mesomorphic, & Endomorphic. Most women have bodies as a mishmash of all three categories with up to 300 variations. If you’re naturally thin, it may require some effort to bulk up or add curves. Your first plan of attack is your workouts. Concentrate on muscle-strengthening over fat-burning. If you’re cardio workout lasts for an hour, five days a week, for example, you might be burning more calories than you can consume in your diet. Unless you’re training for a marathon, it makes sense to cut back on your cardio. You can still maintain health benefits by doing shorter or less frequent workouts. Next, add up the strength component of your routine. If you’re lifting light weights, go heavier so that your muscles are stimulated to add more mass. If you’re not lifting weights at all, do. You don’t have to kill yourself, but you must subject your body to out-of-the-ordinary stress each workout to grow muscle and to gain weight. Start with general exercises such as Squats (EX#S1), Lunges (EX#S2) and upper body moves like Biceps curls (EX#S25), Bench press (EX#S29), Push-ups (EX#S35) and Shoulder Press (EX#S17) presses using 5-15 pound dumbbells. Do one to three sets of 6-10 repetitions of each exercise. 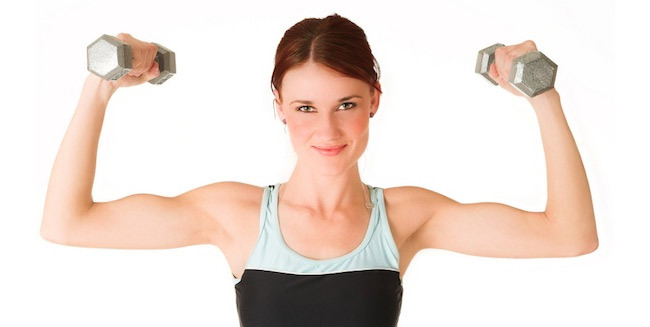 Keep in mind that the first 12 weeks of strength training won’t make your muscles bigger or curvier. You’ll increase your strength, but it’s mainly from the muscles learning to contract more efficiently. After this initial three month period, provided that you are continuing to vary your exercises and increasing the amount of resistance, your muscles will increase their protein content, giving more shape to your body parts. There’s a tendency for a thinner person to look extremely ‘defined’ or ‘cut’ from even a little bit of muscle training. This is because without much body fat to soften the curves, every sinew of your muscles will show through. You may also look ‘veiny’ for this reason. The solution? Increase your body fat a little to fill in the gaps. When it comes to your diet, it can sometimes be difficult to force yourself to eat more. But nutritionists recommend trying to eat an extra 300-500 calories a day. You can do this by adding a little bit more food to each of your regular meals, or snacking more often. Eat higher calorie foods and add more complex carbohydrates to your diet such as grains and beans, especially if you’re exercising more. To gain weight you must eat more calories than your body burns off, so EAT MORE! The most important thing that I cannot over stress is that you need to eat to gain weight. You need to eat like you’ve never eaten before. (but not junk food like donuts and chips or candy). In other words, you need a weight gain diet. Start eating six meals per day (space them out to about once every three hours). This is a weight gain diet used by those who know what they’re doing. Increase your protein intake and reduce your simple carbohydrate intake. Without protein your body cannot build new muscle. Keep your workouts under one hour. Short and intense! Concentrate on free weight exercises that work the large muscle groups. The best weight training exercises for building mass are the simple ones. For mass, stick with compound free weight exercises like squats, deadlifts, bench presses, barbell rows, pull ups and bar dips. Use heavy weights and low reps, rest 3 minutes between each set. Split your workout. Since you have a very high metabolism like me, you need to train with more intensity, but less frequently. Increase you water intake. A good formula for this is to multiply your bodyweight by.66 to get the required number of ounces per day. Use nutritional supplements. If you can’t afford too many products, just stick with the basics; like whey protein. If you can’t afford whey protein the next best thing is egg whites. Getting curvy is not as simple as sticking to a weight-lifting program, though, because the taller and longer-limbed you are, the harder it is for a muscle to show it’s shape. This is because the muscle is stretched over a longer limb. So for any bulk to show, it’s going to have to be bigger than it would over a shorter limb. To gain weight and bulk up, you have to be willing to do whatever it takes, and work as hard as necessary and you have to be consistent. Your body will responds to consistency.